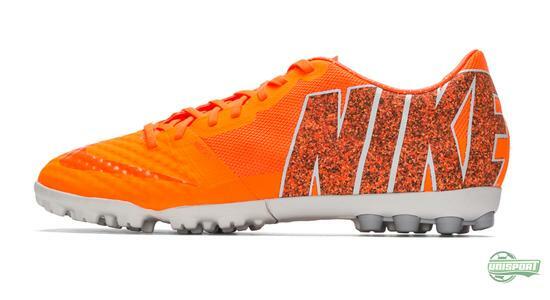 FC247 is Nike’s offering for those who simply can’t get enough football. For those who think football should be played on all surfaces, at all times. 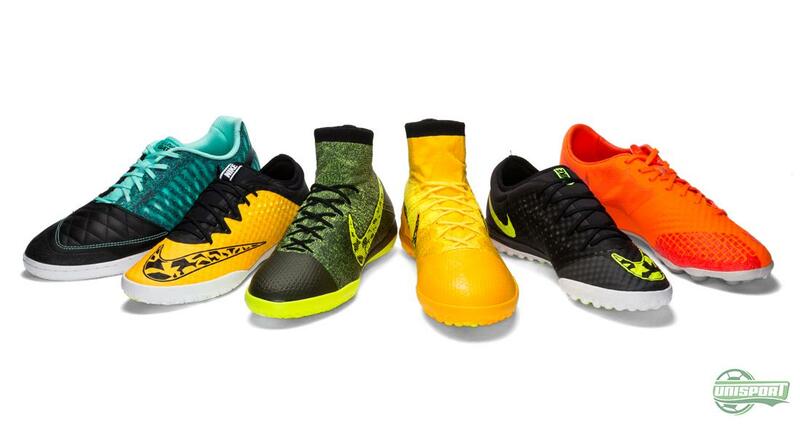 About a month ago Nike unveiled the new Elastico Superfly and now they follow up with the rest of the FC247-collection, which consists of the Elastico Finale III, Lunargato and Bomba Finale. Check them all out here. Since Nike first introduced the FC247 collection, there has been high demand for the shoes made for alternative surfaces to grass. 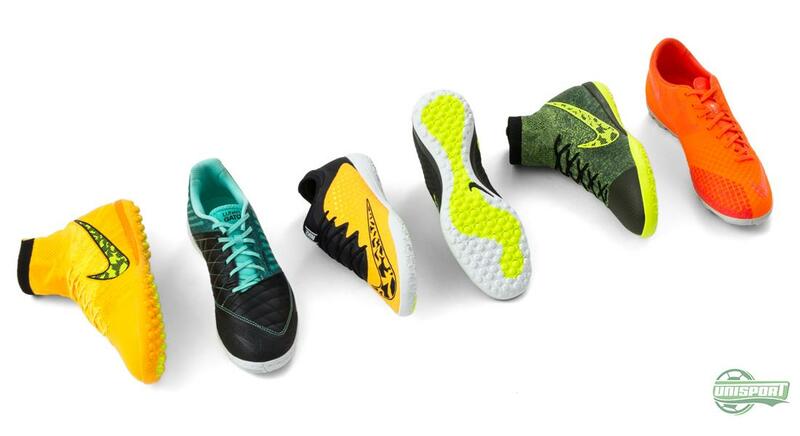 Each of the three shoes are built with specific surfaces in mind, one for indoor courts, one for asphalt and the last for artificial grass. 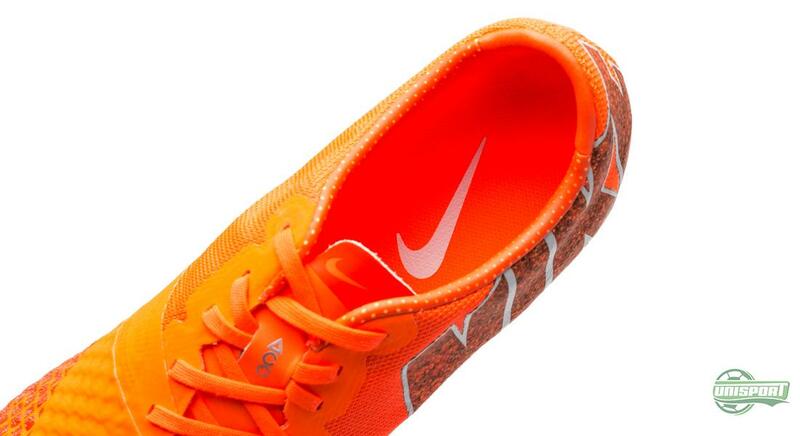 They have been introduced in a wide array of colours, the one more stunning than the other. Go nuts with the FC247 shoes right here. 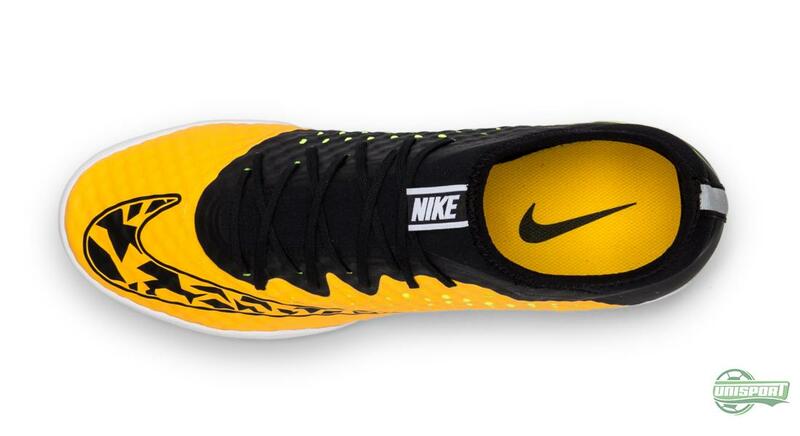 Now Nike are ready with another round of FC247 shoes, but this time with a few new dishes on the menu. 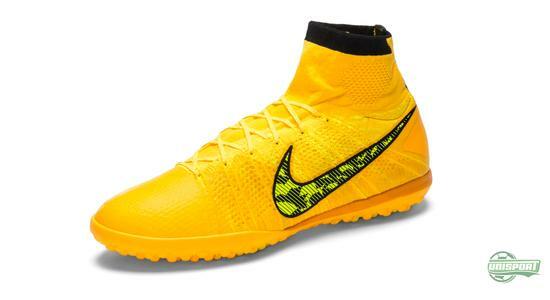 Nike have added the Elastico Superfly to the collection, as well as the well-known Elastico Finale getting a new revamped generation. 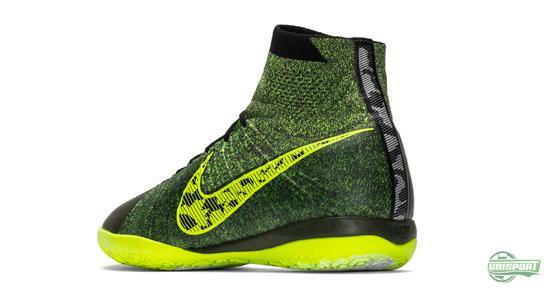 Nike have therefore really gone in with all guns blazing in the fight to rule the small-sided game. We have already taken a closer look at the Elastico Superfly and Elastico Finale III. 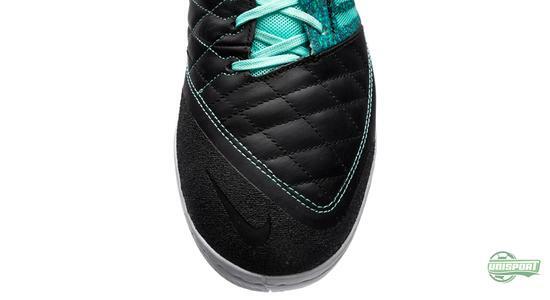 The two shoes are made with both IC and TF soles and are fundamentally built for the same purpose; to master the small-sided game. While the Elastico Finale III is built much in the same way as the previous generation, the Elastico Superfly really stands out with the Dynamic Fit Collar and Flyknit upper, which we know from the Mercurial Superfly and Magista Obra. Check out all the new models in the FC247 collection right here. 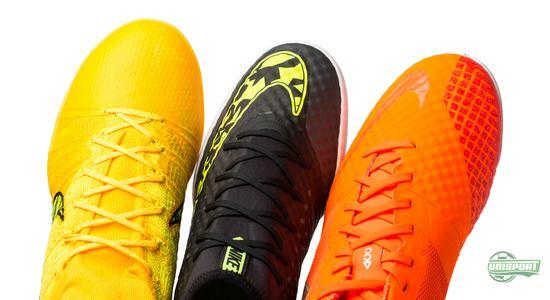 The IC models are first and foremost designed to play on hard and firm surfaces, like the indoor football courts all around the world, but also the street pitches we see around the cities are accommodated by the IC soles. 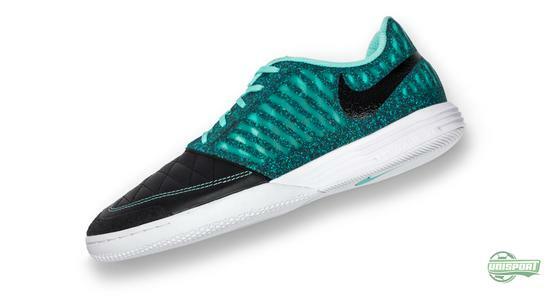 The shoes therefore move in on terrain that the Lunargato was designed to master. 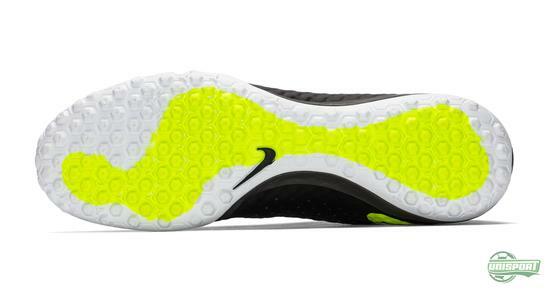 The Lunargato is the pure breed “street” shoe, which with its soft Lunarlon midsole gives the necessary shock-absorbency to counter the tough asphalt and concrete pitche. Unlike the Elastico the Lunargato is made with goatskin, which together with the Nike Grind material underneath the front-foot, creates a very comfortable and most importantly durable shoe. 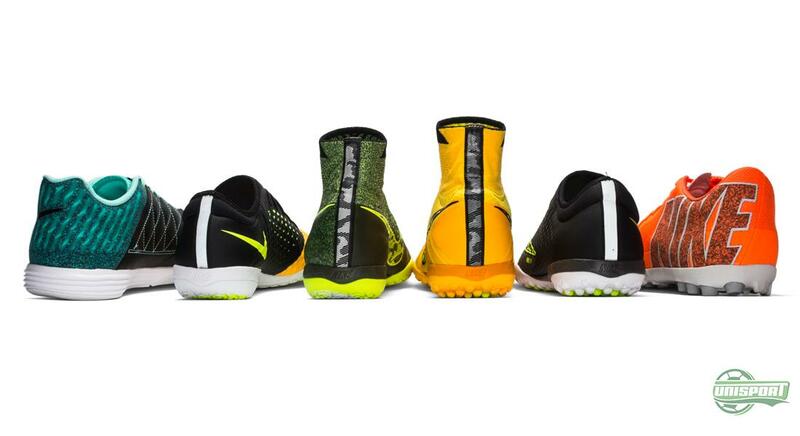 The Elastico has had an extra layer of NikeSkin added on their Elastico shoes, which serves the same purpose there. 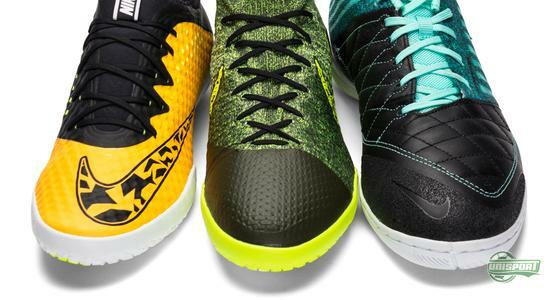 See all the cool Nike FC247 models right here. On the other side the TF models from the Elastico line have moved in on the Nike Bomba Finale’s turf, so to speak. You could however still argue that when playing on Artificial grass the Bomba Finale II is still the safer choice. Here the studs are made with more grip than the TF shoes and the TF version is therefore mostly recommendable for the 1. and 2. generation of artificial grass, which you see around the world. The designs of the FC247-collection very much follows Nike’s latest design trends, which are based on strong orange, turquoise and green colours. 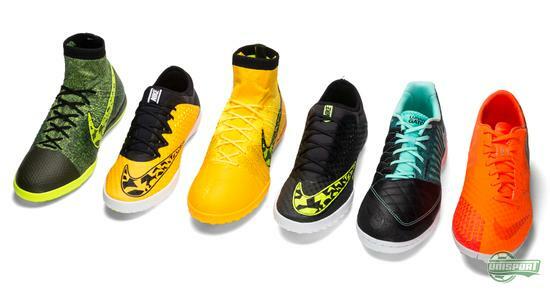 With the new FC247 collection you can therefore with matching style build on your pool of Nike football boots. The FC247 family has grown and we are certainly not complaining. 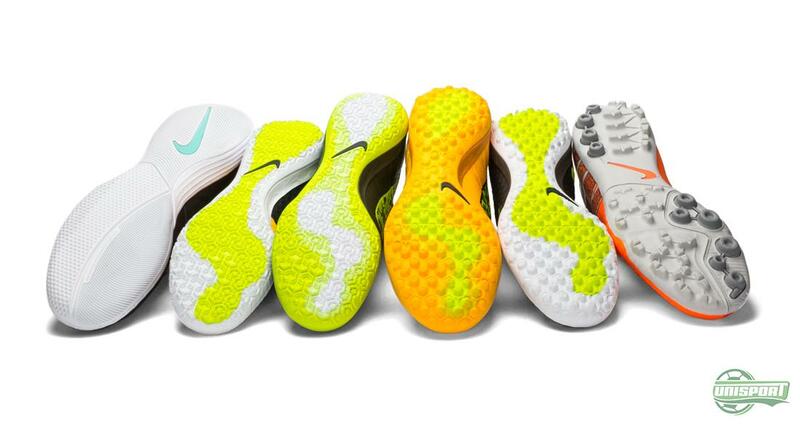 There are left no gaps and you are free to choose the boot for whatever surface you play on. Now also with new colourway updates. Which weapon do you choose.